Any investment should be a personal decision but we are always happy to share our knowledge and experience. We’re one of the oldest bullion houses in the UK having been trading since 1981. A common view is that investing in gold is high risk. Yes it can be if you are thinking of only buying the metal for the short-term but actually historically gold has always performed well. As to whether now is the right time to purchase the metal, it maybe worth considering this. The tensions in recent weeks have been heating up between the US and North Korea. Supreme Leader Kim Jong-un shows no signs now of halting his nuclear weapons development programme. Mr Kim’s was photographed visiting a facility at the Academy of Defence Sciences facility showing wall charts describing the missiles, called Hwasong-13 and Pukguksong-3. This week we’ve seen the US has imposing sanctions on a number of Chinese and Russian individuals and companies that it accuses of helping North Korea’s nuclear weapons programme. Gold has been reacting to this crisis as we have previously reported. On Wednesday, after US President Trump’s comments on a government shutdown, gold prices have edged up. Spot gold was up 0.1 per cent to $1,285.30 an ounce by 0555 GMT. Investors are also awaiting further direction from a key annual central banking conference this week. Generally, if the US dollar is weak, gold is often sought as it can offer a better return. What we always say is to take a medium to long-term view when it comes to investing in gold. 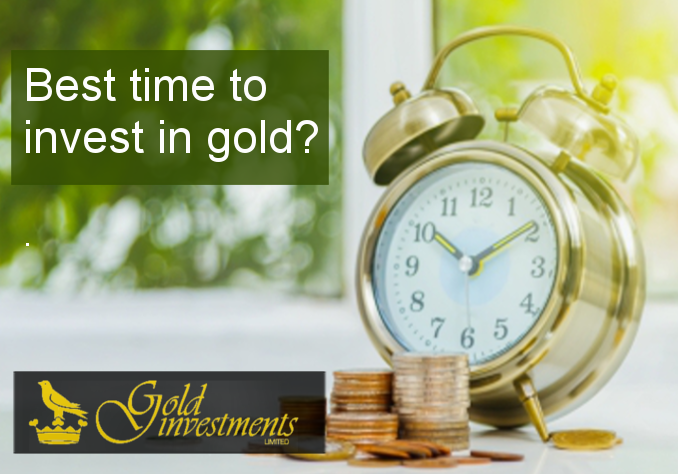 Also we would advise not putting all your money into gold – it should probably make up no more than 10-15% of an investment portfolio. You could also consider including gold as part of your Self Invested Personal Pension (SIPP). The Government introduced SIPPs a number of years ago. SIPP or (self investment personal pensions schemes) allow you to put different types of investments in ‘one pot’. Money is paid in before income tax is taken off.